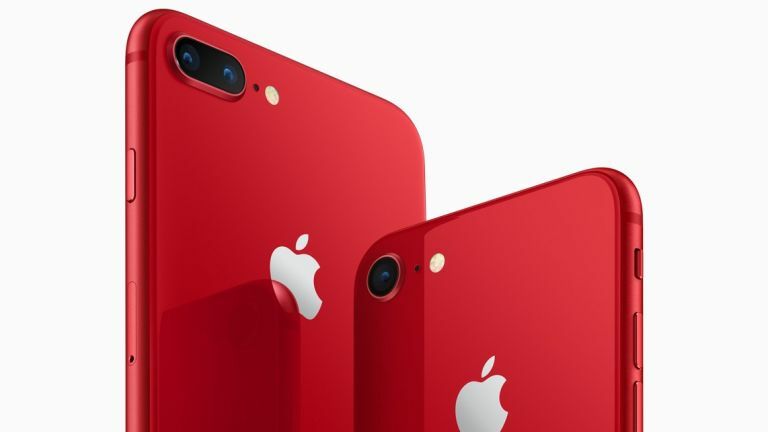 Apple has just announced its Special Edition Red iPhones, sales of which will help fund research into the treatment and prevention of HIV/AIDS. They just so happen to look pretty amazing as well. Last year Apple released the Red iPhone 7, but people were disappointed that the phone featured a white front bezel, rather than black. Well, it seems Apple listened, because this year the (Product)Red iPhone 8 and iPhone 8 Plus feature the more striking red and black colourway. Not only does it look stunning, but proceeds from sales of the new iPhone 8 and iPhone 8 Plus (PRODUCT)RED Special Edition phones will go to Global Fund HIV/AIDS. Which provides testing, counselling, treatment and prevention programmes with a focus on eliminating transmission of the HIV/AIDS virus from mothers to their babies. The iPhone 8 and iPhone 8 Plus (PRODUCT)RED Special Edition will be available in 64GB and 256GB models starting £699 and joins iPhone 8 finishes in space grey, silver and gold. Both special edition models will be available to order beginning April 10 and will be on sale in stores in Australia, Canada, China, France, Germany, Hong Kong, Japan, New Zealand, Singapore, South Korea, the UK and US on April 13. Other countries and regions will follow later in April and May. Those hoping for a Red version of the iPhone X will be disappointed, although, iPhone X owners can also join the fight agaisnt AIDS/HIV with a (Project)Red Leather Case. The new (PRODUCT)RED iPhone X Leather Folio will be available from apple.com, the Apple Store app and Apple Stores for £99 beginning tomorrow. Since partnering with (RED) in 2006, Apple has donated more than $160 million to the Global Fund.